The Laser & Skin Surgery Center of New York is pleased to announce the addition of the Vectus laser to our collection of lasers for hair removal. Featuring the largest spot size and most uniform beam profile available today, the Vectus laser allows providers to quickly treat unwanted hair, even in the largest areas such as a back, in less than five minutes. The Laser & Skin Surgery Center of New York offers New York’s first Picosecond laser for tattoo and pigmented lesion removal. The FDA has cleared the PicoSure™ laser for tattoo and pigmented lesion removal. The approval is based on the clinical work performed at the Laser & Skin Surgery Center of New York under the direction of Dr. Roy G. Geronemus which has been published in the Archives of Dermatology. At the present time there are three PicoSure™ lasers in the world, two of which are at the Laser & Skin Surgery Center of New York, located in midtown Manhattan. The PicoSure™ laser delivers short bursts of energy to the skin in trillionths of a second and more rapidly clears almost all tattoos, especially blue and green colors which have been difficult to remove by other lasers. The Laser & Skin Surgery Center of New York study included 22 subjects with multicolored and recalcitrant tattoos were treated with PicoSure™ over a two-week period. The results demonstrated greater than 80% overall tattoo clearance. On average, 94% clearance was achieved for blue and green ink. Ultherapy has received FDA approval for the treatment of the neck and submental (under the chin) areas. Ulthera® is an advanced ultrasound device, used to treat the sagging skin of the face and neck. The device is non-invasive, and applies ultrasound waves to the skin to gently heat and tighten loose skin. The Laser & Skin Surgery Center of New York has added three new devices to its large collection of state of the art technology. miraDry® - A non-invasive solution to underarm sweat. Read more. Clear + Brilliant® Perméa - The latest in Clear + Brilliant® technology utilizing a low-power 1927nm non-invasive fractional laser for rejuvenation and pigmentation. Read more. 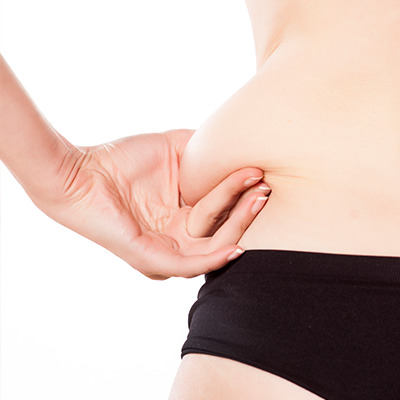 Liposonix® - A non-invasive fat reduction treatment that uses high-intensity focused ultrasound energy (HIFU) to help reduce fat cells in a single treatment. Read more. eTwo™ - One of the newest devices from Syneron combining the unique Sublime™ and Sublative™ (eMatrix™) technologies for comprehensive facial rejuvenation that is safe and effective for all skin types. Read more. Ulthera® - a focused ultrasound device for skin tightening and lifting of the face and neck. Read more. eMatrix™ - a radiofrequency device for sublative skin rejuvenation. Read more. Excel V™ - a KTP laser for the treatment of blood vessels and vascular birthmarks. Read more. Evolastin™(ePrime™) - we have one of the few Evolastin™ devices in the world. This fractional radiofrequency device improves skin tone, volume and elasticity. Read more. The LSSCNY has recently added the LEDA hair removal laser to its range of lasers offered for this purpose. The LEDA laser offers a fast and effective method of long term hair removal with minimal discomfort to our patients. This laser will be particularly helpful for those patients treating large areas such as chest, arms, backs, legs and arms. In most cases, an entire man’s back can be treated in as little as 10 minutes. We have successfully completed clinical trials of the new Fraxel Dual® laser system. This new laser is now available for the treatment of sun damaged skin, unwanted pigmentation, and some birthmarks. The procedure is less painful than the other Fraxel lasers and has minimal downtime for the patients. Most patients experience mild redness for a few days after their procedures. Our physicians were previously involved with the clinical development of the Fraxel Re:pair® and Fraxel Re:store® lasers. Solta Medical, Inc. today announced the launch of its new Thermage® CPT(TM) system, representing a significant leap forward in skin tightening and body contouring technology. We are one of the few centers around the world to offer this new, non-invasive treatment for body contouring. We have seen excellent results from recent clinical trials performed at our Center. Ideal candidates for this procedure are patients who are relatively fit but have some modest-size fat bulges. This procedure is comfortable for most patients. Results from this procedure are seen in approximately two to four months. CoolTouch (CTEV™) endovenous laser procedure is a minimally invasive, virtually painless, image-guided procedure that utilizes laser energy to close abnormally enlarged or dysfunctional veins in the legs. Incompetent leg veins can lead to varicose veins or extensive telangiectasia (unsightly spider veins). Additionally, patients with faulty or incompetent leg veins often suffer from swelling, aching pain, fatigue, cramping, burning, skin irritation or ulceration, or phlebitis (inflammation of the vein). Traditionally, the only way to treat reflux of the leg veins and associated symptoms was to surgically remove the faulty vein(s). Now, successful treatment can be achieved with a simple laser procedure, CoolTouch (CTEV™). CoolTouch (CTEV™) is performed on an outpatient basis using local anesthesia. A thin laser fiber is inserted through a tiny incision in the skin and positioned within the abnormal vein. As the fiber is slowly withdrawn, laser energy is delivered along the length of the damaged vein, causing it to close. The procedure is essentially painless, other than a slight needlestick with infiltration of local anesthesia. Compression stockings must be worn for several days following the procedure. Normal activity, including light exercise, may be resumed immediately following the procedure. Several weeks following the procedure, ultrasound is used to confirm closure of the treated vein. Subsequently, sclerotherapy (leg vein injections) may be used to clear remaining associated superficial veins. Introducing new Laser Assisted Lipolysis! LipoLite causes fat cells to break apart and be eliminated by the body through non-selective heating of the adipose tissue. The 1064nm Nd:YAG laser energy is delivered via an optical fiber inside a cannula, inserted through a tiny incision to the treatment site. The thermal energy has the added advantage of tissue tightening via simultaneous photo-stimulation of dermal collagen. Due to the coagulation properties of Nd:YAG lasers, there is less bruising or bleeding as compared to traditional liposuction for faster recovery. As a complementary procedure to traditional liposuction, Laser LipoSculpture with LipoLite can treat smaller areas not possible with liposuction. 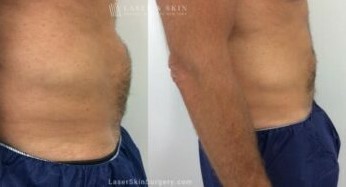 Skin tightening through laser-assisted lipolysis. Faster healing with small incisions, less bruising, reduced pain, and minimal blood loss and swelling. Less downtime for patients who need to return to work or other activities the same day. The Laser & Skin Surgery Center of New York ® is pleased to be one of the first offices in the country to offer Thermage treatments with the new Deep ThermaTip™. As one of the centers to perform the initial clinical trials with the Deep ThermaTip™, we are able to offer treatments before the tips will be widely released later this year. The Deep ThermaTip™ has been shown to improve mild to moderate skin laxity and sagging on the abdomen, thighs, buttocks, legs and arms by heating the skin 79% deeper than the previous Thermage tips. The deeper heating results in deeper layers of collagen remodeling and significant clinical results 2-6 months following treatment. We were particularly impressed in tightening “grandma knees”, loose skin on the abdomen and “cigarette paper” type skin on the arms. Treatments were extremely well tolerated with no down time. To find out if you’re a candidate for the new Deep ThermaTip™, please book a consultation with one of our physicians. The fractional carbon dioxide laser also known as the Fraxel Re:pair® laser has been approved by the FDA and will soon be available for general use. This device is used for a procedure known as fractional deep dermal ablation. Much of the data presented to the FDA was generated from studies performed at our center. This device will be used for deeper lines, scars and significant signs of aging. We anticipate to offer Re:pair® laser treatments to our patients by late summer or early fall. Fraxel - No More Blue! There have been significant improvements in the new Fraxel laser over the past year. Most recently, the physicians at the Laser and Skin Surgery Center of New York ® have introduced a new “tip” to the Fraxel laser which does not require the application of blue dye. This has allowed for an easier treatment process for our patients and more uniform treatment outcomes. The laser has also been modified to allow for high energy treatments which can be more helpful for deeper lines and wrinkles as well as acne scars. Many people have come into the office requesting a tighter and younger looking abdomen, but they don’t want the downtime or general anesthesia associated with traditional abdominoplasty surgery. We are now performing non-surgical tightening of the abdomen with Solta, a radiofrequency device which allows us to achieve significant tissue remodeling. The device safely heats the deeper layers of the skin, resulting in collagen stimulation and contraction. The result is noticeable tummy tightening without surgery and without downtime. In most patients, only a single treatment is required. The procedure is performed in the office setting and is indicated for those patients with mild laxity or looseness of the skin. We are pleased to announce the addition of the Fraxel-2 (SR1500) to our list of lasers, light sources and radio-frequency devices. The Fraxel-2 is the latest version of the Fraxel laser (Reliant Technologies). It is an updated version of the original Fraxel laser which was first introduced for commercial use at our center in September of 2004. The new Fraxel-2 laser is less painful and provides a faster treatment for most patients. Many of our patients are describing less redness and swelling following each treatment session as well. The Fraxel-2 laser is indicated for the removal of sun damage, treatment of fine lines, acne scars, surgical scars, melasma, and other surfacing irregularities of the skin. The Laser & Skin Surgery Center of New York® is one of the first centers in the world to offer a revolutionary new laser treatment referred to as Fraxel skin treatment. In fact, more Fraxel laser treatments have been performed at our center than any other. This treatment allows for the improvement of fine and moderate wrinkles, sun damage, mild laxity, and melasma without the downtime that is associated with standard resurfacing techniques. The advantage of this procedure is that wounding does not occur and there is generally minimal to no down-time for the patient. Melasma is a common condition affecting many women and some men. This condition is commonly seen during and after pregnancy and amongst women taking birth control pills. Our Fraxel laser is a safe new method of improving melasma in most patients.